Between 2015 and 2018, South Africa’s City of Cape Town experienced its worst drought on record. The City’s water supply dams dropped to an all-time low of <20%, and temperatures soared. 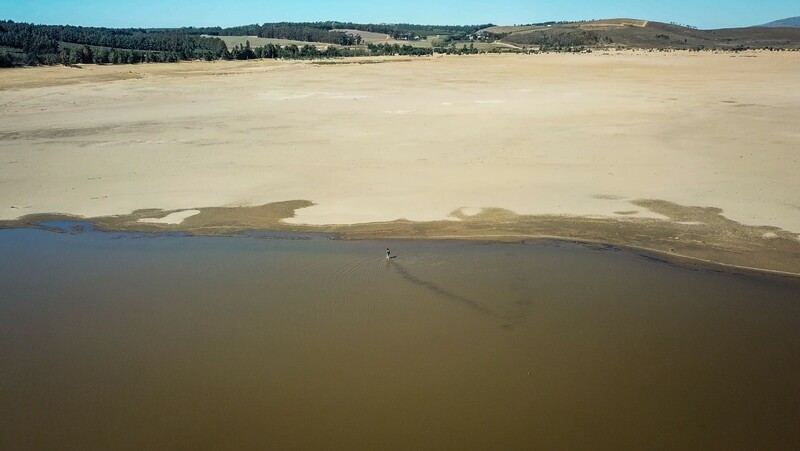 But while the media was transfixed on the city’s struggle with securing drinking water for its population of nearly 4 million people, the freshwater life inhabiting the rivers that feed these dams was also starting to feel the heat! Cape Town falls within one of the 35 Global Biodiversity Hotspots recognised by Conservation International, the Cape Floristic Region (CFR). While best known for its diverse and unique flora called ‘Fynbos’, the freshwater fishes inhabiting the rivers flowing through the Fynbos, while less diverse, also exhibit very high levels of endemism (20 of the 23 currently described species unique to the CFR) (Ellender et al. 2017). Sadly, these fishes face a severe threat of extinction (14 of the 20 endemics are listed as Vulnerable, Endangered or Critically Endangered in the IUCN Red List) due to deterioration in habitat quality and quantity, as well as impacts from invasive plants and animals (Shelton et al. 2017). Moreover, the region’s freshwater environments are also predicted to be particularly vulnerable to climate change, with conservative models forecasting a 2°C increase in mean water temperature and 20% reduction in flow over the next 30–50 years (Dallas and Rivers-Moore 2014), but until recently climate change impacts on these fishes had not been studied. 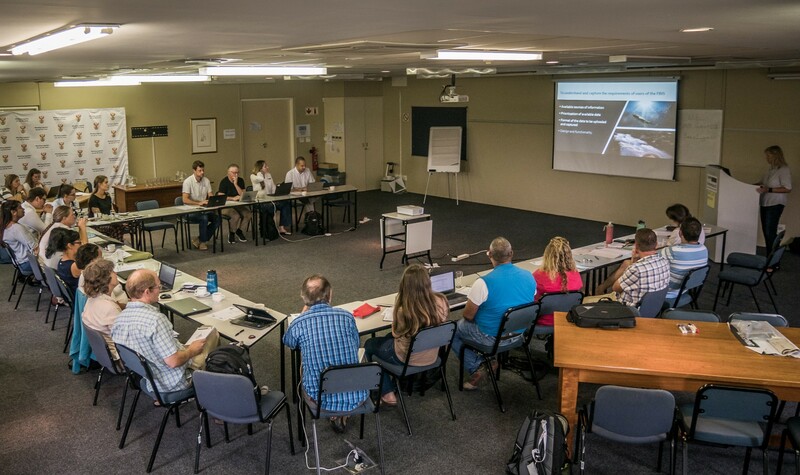 In 2014 South African non-profit the Freshwater Research Centre (FRC), in collaboration with the South African Institute for Aquatic Biodiversity (SAIAB) and local conservation authority CapeNature, embarked on a series of studies funded by the Water Research Commission (WRC) and the Table Mountain Fund (TMF) to evaluate how these threatened freshwater fishes are likely to respond to a warmer and drier climate. The unexpected drought provided a natural experiment for investigating climate change impacts in these rivers – a window into conditions expected to become a lot more common in the decades ahead, particularly higher water temperatures and reduced flows. 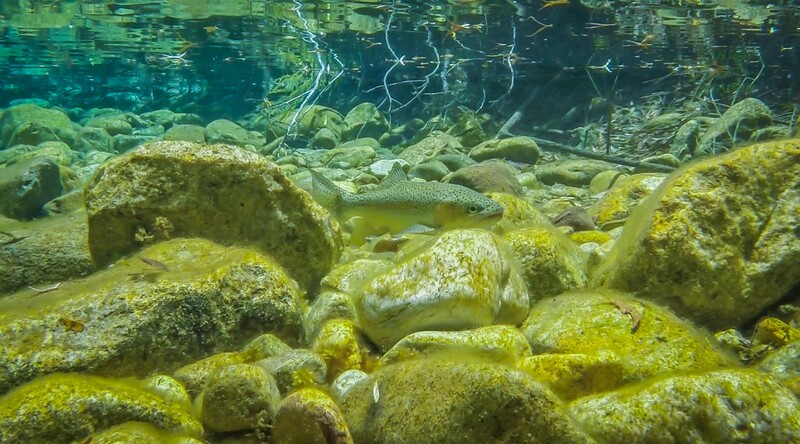 A combination of field surveys, thermal experiments and predictive modelling were employed to gain insights into what climate change spells for CFR fishes and their river habitats. The surveys show habitat being lost in the wild and contractions in the distributions of thermally sensitive native and non-native species as the Cape’s rivers warm (Shelton et al. 2018). Thermal experiments reveal a wide variety of thermal tolerances among the different fishes inhabiting CFR streams, with some of the native species found to be highly sensitive to even a slight increase in water temperature (Dallas et al. 2017). Finally, the species distribution models warn of a high risk of endemic species extinctions (for example the native Breede River redfin) as soon as this century under a scenario of 2°C increase in mean water temperature and 20% reduction in flow (Dallas et al. 2017). 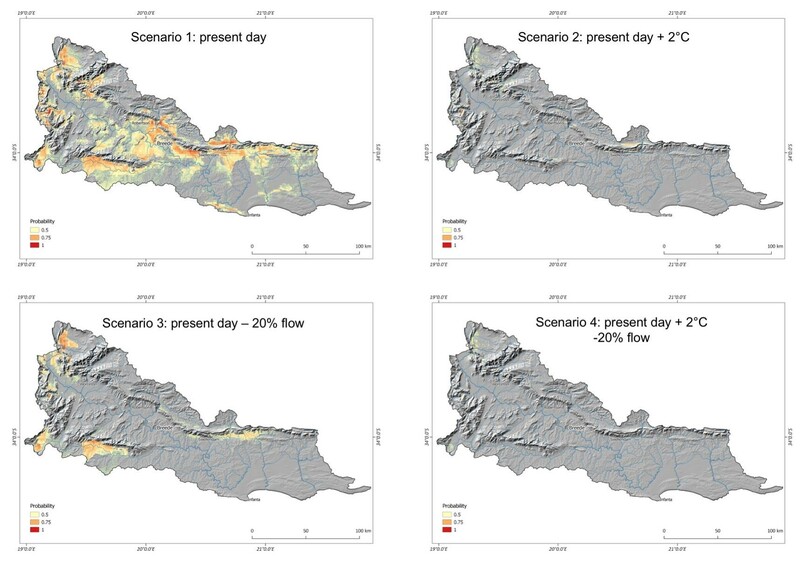 Figure 4: Species distribution models showing contraction of Breede River redfin distribution under different climate change scenarios (figure from Dallas et al. 2017). Warmer colours (orange and red) show areas predicted by the model to be more suitable for the species. In the face of change and uncertainty, one thing is becoming abundantly clear: balancing water for people and the environment is about to become a whole lot more complex. Now the challenge is to bring these findings to managers and policy makers to effect on-the-ground change (Bragg et al. 2017); only coordinated action from government, policy-makers and civil society will ensure that these freshwater fishes remain a part of the Western Cape’s rivers for many decades to come! Since a child, Jeremy has been drawn to watery environments, fascinated by the wonder of the world beneath the surface. 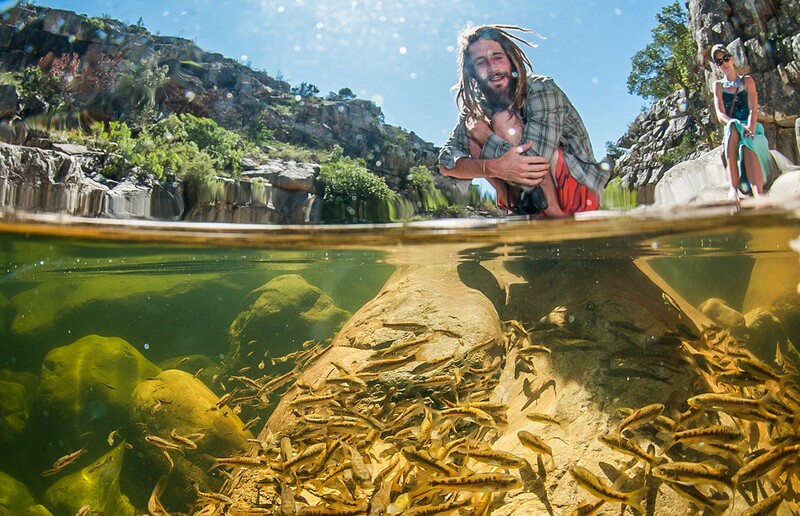 Through his studies in freshwater conservation biology at the University of Cape Town (2000-2013), he felt an increasing need to share the hidden wonders and struggles of freshwater environments with the world, and seeks to achieve this through a blend of science, education and film. Since 2014, Jeremy has been working as a freshwater conservation biologist at the Freshwater Research Centre, a non-profit based in Kommetjie (Cape Town, South Africa). In addition to research, Jeremy is spending more and more time communicating science through film and photography, and working on the Centre’s outdoor education programme, “Living Labs”. Next Post run. fish. beer. Conservation through Recreation.